We've talked before about how hard it is for folks driving for Lyft and Uber to break even. Things aren't so hot for cab drivers, either: as ridesharing becomes more prevalent by the day, those who own their own taxi or drive for someone else are finding it harder to make a living. The drop in revenue going into the pockets of New York City Taxi medallion owners has been so extreme that drivers have been forced to work 100-hour weeks just to stay out of the red. Others, feeling that their lives were ruined by mounting debt, out of desperation committed suicide. Today, New York City's Taxi and Limousine Commission decided that they'd do something about it. 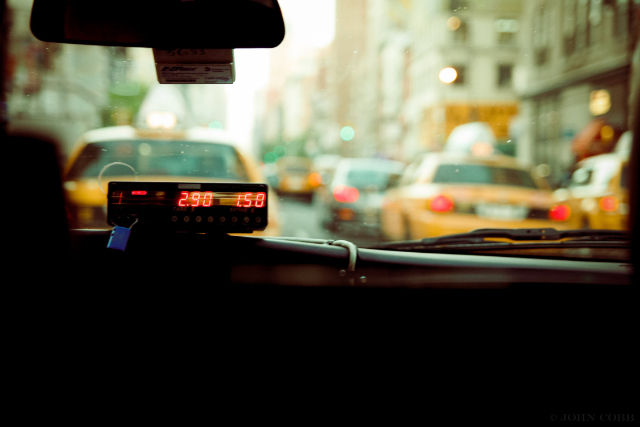 Today, New York’s City’s Taxi and Limousine Commission approved measures to enact minimum pay requirements for app-based for-hire vehicles (FHV) like Uber, Lyft, and Juno. The new pay structure is set to take effect early in the new year. The $26.51 per hour gross pay floor (estimated to amount to $17.22 per hour, less expenses) comes after “growing evidence of declining driver pay” was confirmed by a labor study, commissioned by the TLC, which concluded that 85 percent of drivers in NYC were earning less than the local minimum wage of $15 an hour. The new requirements will increase the average driver’s take-home pay by an estimated $9,600 per year. Advocacy groups like the Independent Driver’s Guild and Amalgamated Transit Union have celebrated the change. “All workers deserve the protection of a fair, livable wage and we are proud to be setting the new bar for contractor workers’ rights in America,” Conigliaro, Jr., founder of IDG, wrote in a press statement.